Former President Jimmy Carter said he was fine with marijuana legalization during a Tuesday CNN forum. 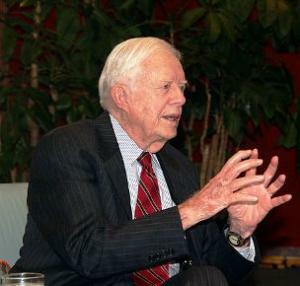 Carter supported marijuana decriminalization during his presidency in the mid-1970s, but now is prepared to go a step further. He told CNN host Suzanne Malvaux that he was "in favor" of states taking steps to free the weed. "I think it's OK,” Carter said. "I don't think it's going to happen in Georgia yet, but I think we can watch and see what happens in the state of Washington for instance, around Seattle, and let the American government and let the American people see does it cause a serious problem or not." Carter's comments came as marijuana legalization has become a front burner issue like never before in the wake of the decision by voters in Colorado and Washington to move away from pot prohibition. Now, with marijuana possession by adults already legal in those two states, all eyes are on Washington, waiting to see how the Obama administration will respond to efforts by state officials to craft a system of regulations for marijuana commerce. The former president also suggested that continued marijuana prohibition contributed to high incarceration rates, especially among racial minorities. "It's a major step backward, and it ought to be reversed, not only in America, but around the world," Carter said, suggesting that the US should look to Portugal, which decriminalized as drug possession in 2000, as a model. The Carter critique of marijuana prohibition and the war on drugs in general is little surprise. Not only did he favor decriminalization in the wake of the Shafer Commission report, which was commissioned and then ignored by his predecessor, Richard Nixon, in 1972, but he has since gone on to become an increasingly vocal critic of drug prohibition and proponent of marijuana law reform. US drug policy has "destroyed the lives of millions of young people," Carter said at a September forum, and he appeared last week in the drug war documentary Breaking the Taboo again arguing that the US drug war has failed both domestically and internationally. Winning has consequences. Of the three of them, it was only Polis from Colorado who had previously signed on to H.R. 2306, the Ending Federal Marijuana Prohibition Act. DeGette and Perlmutter did cosponsor legislation to protect medical marijuana dispensaries' ability to do banking. But now all three of them seem not only willing to take on prohibition, but eager. H.R. 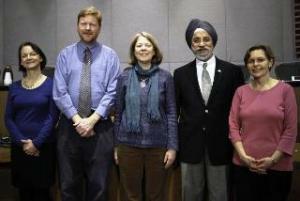 2306 has garnered 21 cosponsors, including 19 Democrats and two Republicans. Some of those are leaving Congress at the end of their current terms -- Ron Paul (R-TX) is retiring, as is the legislation's sponsor, Barney Frank (D-MA). Pete Stark (D-CA) and Dennis Kucinich (D-OH) lost their seats after redistricting forced them to run against other Democrats. A final note on H.R. 2306: One of the things we heard from activists was that they were too discouraged to work on passing the bill, because it wasn't going anywhere -- hardline Judiciary chair Lamar Smith (R-TX) wasn't going to allow hearings, and passing it after hearings didn't seem likely. I hope that people will reconsider that. Think about how long people worked before it became possible to pass these initiatives on the ballot. It just takes awhile to move legislation in Congress too, but that doesn't mean that progress isn't being made. In fact it's the opposite -- when members of Congress see their constituents working for something, lobby them, building coalitions and so forth, and when they see other members of Congress supporting them, over time more of them become willing to sign on to bills or to expend political capital moving them forward. Eventually a bill moves, or more likely, its language or something like it gets included in a larger piece of legislation, when it's introduced or through an amendment. In the meanwhile, we have to do as much as we can to build that support and awareness on the part of members of Congress, so they'll think of us and our issues when there's a new chairman or some other window of opportunity is opened. 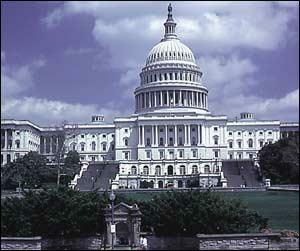 One small way to do that is to use our web site to email your representatives in Congress asking them to support H.R. 2306. Some of them will not be returning to Congress in January, when a new version of the bill will have to be offered, but many of them will be. Of course sending an email is just the bare beginning -- we will be organizing a second teleconference in the near future to talk about more. Former El Paso city councilman Beto O'Rourke has defeated US Rep. Silvestre Reyes in the battle for the Democratic Party nomination for the seat Reyes has held since 1996. 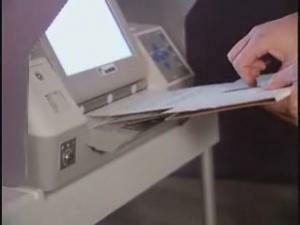 According to election results from the Texas Secretary of State's office early Wednesday morning, O'Rourke had picked up 51.3% of the vote to Reyes' 41.3%, meaning O'Rourke also avoids the need for a run-off election. O'Rourke is a vocal drug policy reformer who has specifically called for marijuana legalization, while Reyes, a former Border Patrol official, has built a career on tough on the border and tough on drugs politics. 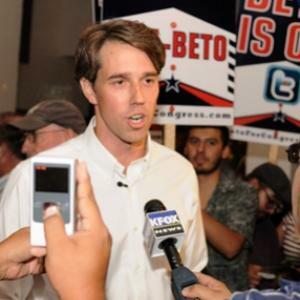 O'Rourke garnered national attention in 2009, when he championed a council resolution calling for a national conversation on legalizing and regulating drugs as a possible solution to the drug cartel violence just over El Paso's border in Mexico. The mayor vetoed the unanimously-passed resolution and the council was set to override the veto until Congressman Reyes threatened that the city would lose federal funding if it insisted on pushing the legalization conversation. The override vote failed, but O'Rourke has managed to use the issue as a launching pad for his campaign against what had been a heavily-favored incumbent. O'Rourke has spoken eloquently of the violence in Mexico and its roots in drug prohibition, including at Drug Policy Alliance conferences, and is the coauthor, along with fellow El Paso city council member Susie Byrd, of Dealing Death and Drugs: The Big Business of Dope in the US and Mexico, which calls explicitly for marijuana legalization. 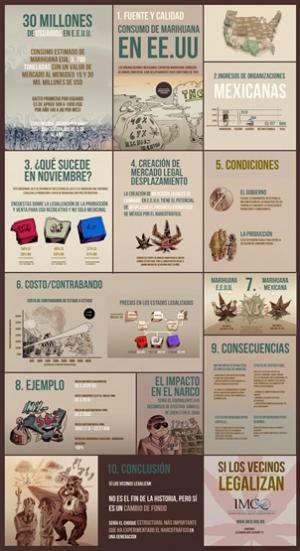 "O'Rourke's victory demonstrates that support for drug policy reform, and even for legalizing marijuana, is no detriment to electoral success - in fact it was a key asset in his triumph," said Ethan Nadelmann, executive director of Drug Policy Action, the Alliance's campaign and lobbying arm.. "Reyes' surprising defeat, meanwhile, shows that kneejerk support for persisting with failed drug war tactics can hurt politicians at the ballot box." Earlier this month, the Democratic primary for Attorney General in Oregon featured a similar dynamic. Ellen Rosenblum won a surprising victory over favorite Dwight Holton, in a race in which medical marijuana became a major issue. Rosenblum is supportive of patients' right to safe and legal access to medical marijuana, while her opponent, former Interim U.S. Attorney Dwight Holton, is sharply critical of the program. Although Holton was heavily favored early in the race, he was targeted for defeat by supporters of medical marijuana after actively trying to undermine responsible state regulation. With no Republican filing for the office, Rosenblum is all but certain to be the state's next attorney general. "Beto O'Rourke's congressional victory in Texas, coming on the heels of Ellen Roseblum's victory in Oregon's attorney general race, shows that drug policy reform is no longer a third rail in American politics," said Jill Harris, managing director of strategic initiatives for Drug Policy Action. "In both of those races, the candidates' views on marijuana reform were used against them in attacks by their opponents - and in both cases, the voters supported the pro-reform candidate. A majority of Americans now favor treating marijuana like alcohol, and strong majorities of both Democrats and Republicans say the federal government should not interfere with state medical marijuana laws. From blue states like Oregon to red states like Texas, it's a new day for the politics of drug policy reform." Having won the Democratic primary, O'Rourke is well placed for a victory in November in this solidly Democratic district that has sent Reyes to Washington eight times. But now, it's a drug reformer El Paso is likely to send to Congress, not a drug warrior. The mayors of eight British Columbia cities have added their voices to the growing chorus of prominent figures calling on the provincial government to legalize, tax, and regulate marijuana. In a joint letter last Thursday to provincial elected officials, the mayors said it was time to "tax and strictly regulate marijuana under a public health framework." The letter was signed by Vancouver Mayor Gregor Robertson, as well as the mayors of suburban Burnaby and North Vancouver and the mayors of the interior communities of Armstrong, Enderby, Lake County, Metchosin, and Vernon. The letter was posted on the web site of Stop the Violence BC, a coalition of public health officials, academics, legal experts, and law enforcement officials. 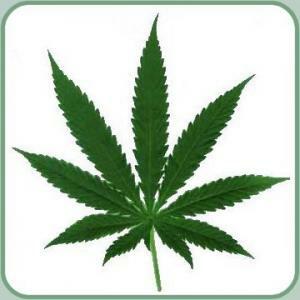 The group has been calling for the development of and implementation of marijuana laws that reduce social harms, such as crime and gang violence. Despite "an endless stream of anti-marijuana law enforcement initiatives," the herb remains easily available to young people, the mayors said. "Based on the evidence before us, we know that laws that aim to control the marijuana industry are ineffective and, like alcohol prohibition in the US in the 1920s, have led to violent unintended consequences." The mayors are only the latest British Columbia public figures to climb on board the legalization bandwagon. In November, four former Vancouver mayors endorsed the Stop the Violence BC campaign to end pot prohibition. In December, the Health Officers Council of BC urged legalization, and in February, four former BC attorneys-general joined the call. None of this is surprising in a province where 66% of the population supports marijuana legalization, according to an Angus Reid poll cited by the mayors. But it runs directly counter to the direction of the Conservative federal government, which not only opposes legalization, but recently passed crime legislation that for the first time imposes mandatory minimum prison sentences for some drug offenses, including the cultivation of as few as six marijuana plants. Pulitzer-winning author Leonard Pitts, Jr., has a piece in the Miami Herald, "If Not Drug Legalization, What, Mr. President?" If President Obama had a son, he would look like Trayvon Martin. So the president famously said. And the president’s son would thereby find himself at significantly greater risk of running afoul of the so-called “War on Drugs” than, say, a son of George W. Bush. Depending on what state he lived in, a Trayvon Obama might be 57 times more likely than a Trayvon Bush to be imprisoned on drug charges. And not because blacks are committing most of the drug crime, which they're not, as Pitts demonstrates. Nice way to start the weekend.